My name is Heather Wallace. I grew up in Pine Bluff, AR but moved to Fort Smith, AR. 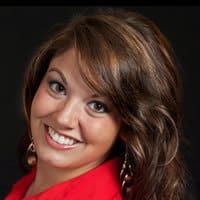 I graduated in 2010 from the University of Arkansas-Fayetteville with a Bachelor’s degree in Biology and went on to get my Master of Arts in Teaching degree from the same institution. I taught 8th grade science for several years and then decided to pursue a career change. I enrolled in the Diagnostic Medical Sonography (DMS) program at UAMS and will graduate on May 19, 2018. I cannot wait to start my career as a diagnostic medical sonographer, specifically a registered cardiac sonographer. I love how the DMS program at UAMS offers so many hands-on clinical experiences at a variety of clinics and hospitals in the region. The size of our class is quite small which allows for excellent one-on-one attention from the professors whom I’ve come to regard as not only my academic instructors, but also as trustworthy confidantes and mentors on life decisions. Tony Baker and Layla Simmons have been instrumental in my success in this program and they are the ones who truly deserve a “spotlight”! 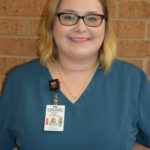 Because of their excellent instruction and my clinical experiences, I now work PRN at Baptist and UAMS as a student sonographer performing general sonography exams to include abdomen and superficial parts as well as obstetrical and gynecological exams. When I’m not in clinic, school, or work, I like to spend time with my husband cooking international cuisine, going fishing, or dreaming about our future farm. I am also very interested in fiber arts—dyeing, spinning, and knitting wool. At the end of a long day, I prefer to relax with a hot cup of tea, a mystery book, and a snuggly blanket. I am very much a “people-person” and I am recharged by interacting with others, especially when I am working in a capacity to serve them. A wise elderly lady once told me when I was a hospital volunteer in the 8th grade to “Give your roses while you’re still living.” This saying has stuck with me for almost two decades now and I really took to heart what she meant by that and make it a personal goal every day to go out of my way to be nice to people and offer a friendly smile or an encouraging word. Cardiac sonography perfectly fits my inquisitive personality, my family-oriented lifestyle, and my genuine interest in people and solving problems. Before I graduate, I plan to become registered in echocardiography through the ARDMS. 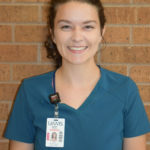 In the first few years of employment as an echocardiographer, I plan to hone my scanning skills and study advanced pathology to provide the best care for my patients. After gaining more hands-on experience, I am very interested in teaching students and will look for opportunities to serve as a leader—perhaps as a preceptor, lead cardiac sonographer, or department head. I feel it is my purpose to educate and advocate. I aim to collaborate with fellow cardiac sonographers and other healthcare professionals on research and policy initiatives advancing the use of cardiac sonography. I come from a teaching background and I am passionate about teaching others and progressing our fascinating field to the highest heights by doing my part to educate future echocardiographers and the public about the role we play in the healthcare setting. In the future, I intend to serve on the Committee on Accreditation for Advanced Cardiovascular Sonography to elevate educational programs for future echocardiographers and to ensure that the best methods are being practiced on every patient. Perhaps someday I can have the honor of being elected to serve on the ASE board and be involved at the national level of policy-making to promote the welfare of the field of cardiac sonography, those that serve in it, and the patients we care for every day. I expect to be an active educator and advocate of this field and to grow with my career, not settle into it. This is probably the most important piece of advice I could pass on to anyone—in order to be happy in your career, you have to find passion in what you’re doing and use that to keep you motivated and encouraged.